Mykola Miroshnychenko was born on December 3, 1963 in the family of the famous military. In 1992 he defended his Ph.D. thesis on the topic "Colloidal-chemical characteristic of the process of transformation of organic-mineral fine part of turf-podzolic sandy soils of Ukrainian Polissya under long-term use of fertilizers". In 2005, he defended his doctoral dissertation on the theme "Soil stability as the basis of pedoecological rationing". Mykola Miroshnychenko developed the concept and methodology of rationing, the methodology of conducting soils-geochemical surveys of land, new ways to restore the fertility of contaminated soils. In 2010-2015, he developed the agro-geochemical zoning of the soil of Ukraine for physiologically necessary microelements, and established the laws of their spatial distribution, migration and translocation in plants. Mykola Miroshnychenko was born on December 3, 1963 in the family of the famous military. In 1992 he defended his Ph.D. thesis on the topic "Colloidal-chemical characteristic of the process of transformation of organic-mineral fine part of turf-podzolic sandy soils of Ukrainian Polissya under long-term use of fertilizers". In 2005, he defended his doctoral dissertation on the theme "Soil stability as the basis of pedoecological rationing". Mykola Miroshnychenko developed the concept and methodology of rationing, the methodology of conducting soils-geochemical surveys of land, new ways to restore the fertility of contaminated soils. In 2010-2015, he developed the agro-geochemical zoning of the soil of Ukraine for physiologically necessary microelements, and established the laws of their spatial distribution, migration and translocation in plants. After that he improved the methods of plant and soil diagnostics, prepared a series of scientific publications on the fertilization of field crops ("Agricultural fertilizer systems in the beginning of the XXI century", "Ecological and economic justification of the use of anhydrous ammonia in agriculture", "Managing the quality of barley grain," etc.). A special place of his scientific interests is involved in monitoring and preventing soil degradation in the process of agricultural activity. The patterns of spatial heterogeneity and seasonal dynamics of soil properties, application of new methods for controlling their quality are summarized in the scientific publication "Theory and Practice of Soil-Protective Monitoring" (2016). According to the results of scientific work, he published 315 scientific works, including 8 patents were obtained. 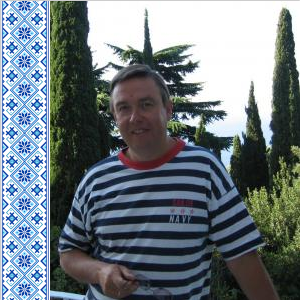 Mykola Miroshnychenko has prepared 5 PhD in the field of agricultural and biological sciences.